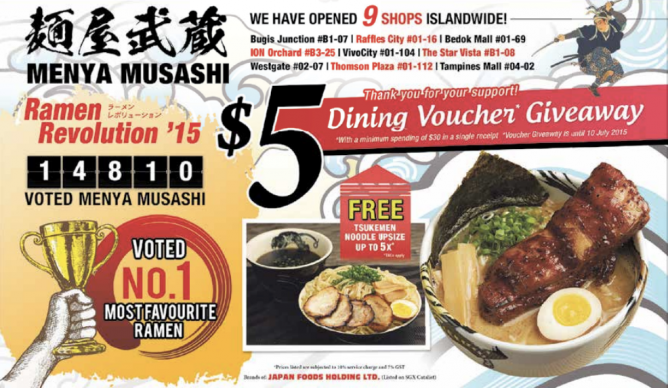 Enjoy S$5 dining voucher giveaway, with a minimum spending of $30 in a single receipt @ Menya Musashi. Valid till 10 July 2015. So, what are you waiting for? Come and hurry! Free Tsukemen noodle upsize up to 5x.